Don't know what to get for a gift? Let the giftee choose! Cyberguys gift certificates are available in amounts of $25, $50, $75 and $100. 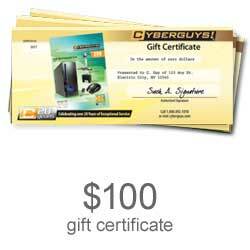 Cyberguys Gift Certificates are honored towards any future purchase.